One such theme is Divi Theme. It is one of the most powerful WordPress themes, which has a built-in drag & drop builder named Divi Builder. Divi Builder also comes as a plugin which can be used with other themes. Because of enormous hype, you may think it’s the only theme or plugin you need. But that might not be the right choice for you. Many people found Divi as a complicated one. And some people think it has a considerable learning curve to get used to Divi. If you are not sure whether Divi is the right choice for you or not, I’d recommend you to take a look at the alternatives. Here are the top 10 alternatives to Divi Theme and Builder for WordPress users. Let’s check the alternatives of Divi Theme first. GeneratePress is a very lightweight, fast, and mobile responsive theme. It doesn’t have a built-in Page Builder. But it’s considered as one of the most page builders friendly WordPress themes. That means you can use it smoothly with any popular page builder like Divi Builder. It also offers built-in site templates for page builders like Elementor & Beaver. This is the theme that we use here at WPLeaders.com. We also use Thrive Architect with it as a page builder. This translation ready and SEO friendly theme is compatible with WooCommerce, BuddyPress, EDD, bbPress, WPML, and more. This theme has tons of filter and hooks that make the theme great for the developers. It also has a huge support community. GeneratePress is a completely free theme that offers premium add-ons facility. If you want more functionality, you can grab GP Premium for just $49.95. Astra is another famous WordPress theme which is fast, lightweight, and easily customizable. Like GeneratePress, it doesn’t have a built-in page builder, but it works seamlessly with page builders like Beaver Builder, Elementor, Thrive Architect, Visual Composer, Divi, etc. This SEO-friendly and fast loading theme is developed by Brainstorm Force. The same folks who developed awesome plugins like Convert Pro, Schema Pro, Ultimate Add-ons for Elementor, etc. Astra theme comes with a bunch of customization options. It has some amazing pre-built ready to import templates for Elementor and Beaver. These templates make it insanely easier to create and customize WordPress site. You don’t need to be a designer or programmer to design your website with Astra. When it comes to choosing a WordPress theme with a built-in builder, Thrive Themes 2.0 is the best alternative to Divi Theme. Unlike Divi Theme, it doesn’t come up with their page builder (Thrive Architect). Rather it comes with a different builder named Theme Builder. However, Thrive Themes 2.0 is still in its beta version. Only Thrive Themes members can try the beta version. To learn more about the theme, watch this video. Along with themes, Thrive Themes offers some amazing plugins like Thrive Leads, Thrive Architect, Clever Widgets, Thrive Quiz Builder, Thrive Comments, and more. If you need these plugins, you can consider getting Thrive Membership for just $19/month. You will get the access to Thrive Themes 2.0 beta version. And obviously the main version, when it becomes live. Now let’s move to the other alternatives. Both Divi and X Theme were released at the end of 2013. Since then, both of them are doing great. With over 190,000 sales, X Theme has become one of the best selling themes on ThemeForest. Like Divi, X Theme has its own page builder - Cornerstone. It works in the front end and lets you customize things on the front end. You can also use Visual Composer as X Theme offers it for free. Along with Visual Composer, X Themes offers some popular plugins like ConvertPlug, Envira Gallery, Slider Revolution, Soliloquy, UberMenu, etc for free. X Theme comes with multiple responsive design layouts. It presents 4 unique design that developers refer to as ‘Stacks’. Each and every stack has a unique page structure that was structured with different types of websites in mind. For a one time fee of $69, you can get X Theme with lifetime updates. Avada is another popular multipurpose theme. It’s the best selling theme of all time on ThemeForest. Currently, it has over 450,000 sales, which is twice of its nearest competitor. This theme comes with lots of dynamic features and functionalities. You can build any kind of WordPress site by using this theme. One of the best things of Avada is its large number of pre-built themes. You can get 41 demo websites in each Avada installation. Like Divi Theme, Avada has its own builder - Fusion Builder. The page builder includes a WYSIWYG visual editor alongside the original back-end version. It also comes with a good selection of pre-built templates which can be customized through a drag-and-drop interface. Avada also offers free premium plugins like Slider Revolution and LayerSlider. You can buy Avada theme for a one time fee of $60. Now let’s see the alternatives of Divi Builder. Elementor and Divi are the two most elegant page builders in the WordPress. Both page builders have been extremely aggressive in releasing new features and pretty close in features. Both offer front-end and drag and drop facility. With the Elementor, you can do most of your work from a fixed sidebar. On the other hand, Divi builder utilizes more floating buttons to operate different tasks. Elementor builder comes with two core sections, one is a live preview of your design with drag and drop. If you want to add some new elements just drag and drop it over from the list your sidebar. 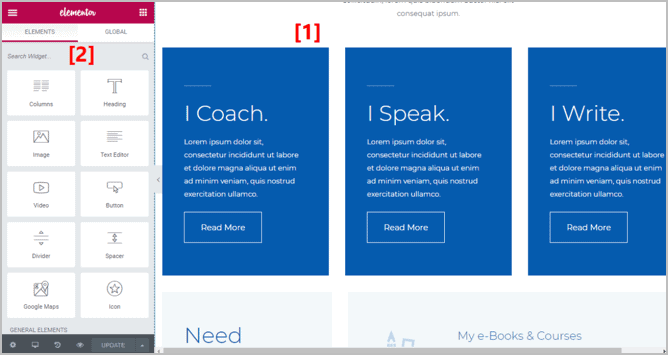 On the contrary, Divi page builder comes with front and back end visual editing. Divi visual editor interface is quite different than Elementor. There is no fixed sidebar like Elementor. You can have access to everything with a number of floating buttons to open various popups. For designing Elementor provides you with three types of elements which are Sections, Columns, and Widgets. On the other hand, Divi builder also offers 3 building blocks with the different name of same functionality which are Section, Row, and Modules. Both page builders are highly praised for their awesome styling options as they show plenty of flexibility in their styling section. If you are using the free version of Elementor, you will get 40-page templates and a large number of block templates. On the other hand, Elegant Themes recently polish entire Divi builder template library. The new builder offers you 250+ templates spread across 45+ layout packs. In the theme building section, Elementor is the only one that offers full theme building via Elementor Pro. It means you can use Elementor interface to build every single part of your theme- including header and footer. On the other hand, Divi builder doesn't offer something pretty similar right now. Using Divi builder with Astra Theme, you can still build custom headers or footers with Divi Builder. Of these two page builder, Elementor is the only one who offers a free version to its users but Divi builder is exclusively premium. If you want to pay, Elementor starts its pricing from $49 whereas Divi starts its pricing from $89. Thrive Architect is one of best alternatives of Divi Builder. Where Divi Builder mainly focuses on website building, Thrive Architect focuses on content building. That’s why the previous name of Thrive Architect was Thrive Content Builder. However, Thrive Architect can also help you to build a custom homepage, landing pages, sales pages, webinar pages, product launch pages, etc. 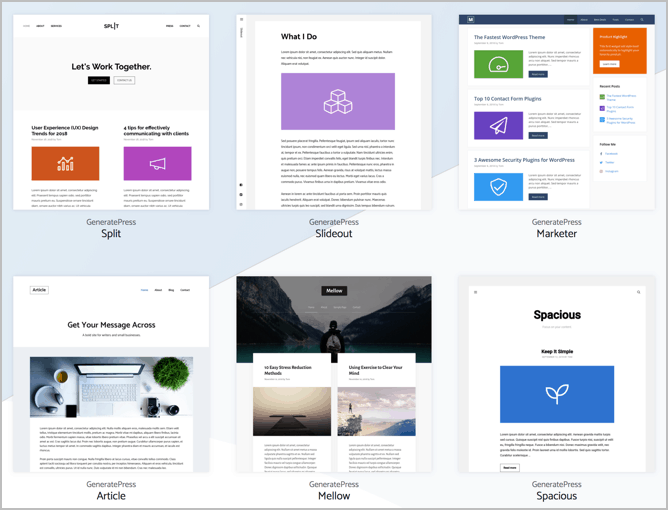 This page builder is mainly designed for bloggers and marketers. Thrive Architect has modules that are very similar to Divi. It offers 100+ pre-built templates which are mobile friendly. Divi also provides hundreds of templates. In pricing, Thrive Architect Builder costs $67 whereas Divi Builder costs $89. Both the page builder allow 30 days money back guarantee. Beaver Builder is one of the oldest page builders in WordPress. The builder is suitable for website clients, and you don’t need to be worried about its releases. But if you need a sound website, you will need custom CSS or you can add an add-on package. Though Beaver Builder has some drawbacks, it still doing the best in the market. The thing is when it comes about the modern design features it has some limitations. Such as it doesn’t have box shadow, hover effects, gradients, etc. The good thing is the page builder supports 3rd party add-ons to fill this gap. Ultimate Addons could be a solution of Beaver Builder. It has 45+ unique modules and 100+ page templates. Now, come to the community of both builders. Divi has a large community whereas Beaver has a small number but strong. Divi has lots of resources like the website with tutorials, blogs, courses, videos, podcast, third-party products. On the other hand, Beaver has a solid amount of community and over 5000,000 websites built with Beaver Builder. In pricing, Beaver Builder costs $99/year, and Divi costs $89/year. Themify Builder is a WordPress page builder that is integrated with Themify themes. Like Divi Builder, it can be used on other themes. Themify Builder has a content lock-in if you disable the builder all your content will be lost. You should aware of this before start using Themify Builder. It’s a drag and drop builder with multiple elements. It has a live preview section that helps you to understand what changes you have made. This builder works from both front-end and back-end as Divi. It provides 40+ pre-designed templates. There are a bunch of modules like Accordion, Box, Callout, Divider, Feature, Gallery, Images, Layout Part, Map, Menu, and so on. WP Page Builder is comparatively a new page builder. But the great thing is, it has a free version. You can test it before starting using the premium version. This drag and drop page builder is designed for both beginner and advanced users. You can easily design your site without having any design experience. This builder is very light-weight and takes no time to load. And it offers responsive designs. No matter which device you use, the design will look good. 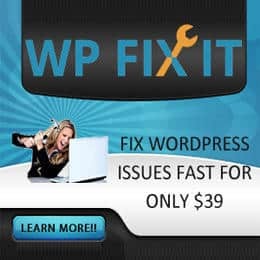 The premium version of WP Page Builder costs $89. Thrive Themes 2.0 is the ultimate solution. It has a built-in Theme Builder that works like Thrive Architect. GeneratePress is the most page builder friendly WordPress themes. It works smoothly with almost all builders. Elementor is the best free page builder in the market right now. Thrive Architect is the solution for you. In some cases, it’s better than Thrive Architect. Thrive Themes 2.0 is my answer. It’s best the theme that has a built-in builder. Hope these recommendations helped you find the right theme and builder for you. If it helped, help us by sharing this post on Facebook, Twitter, or Google+.